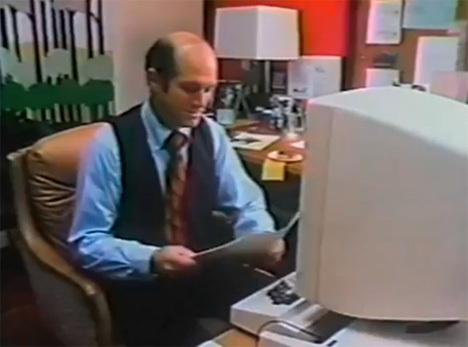 In 1979, the Xerox Alto was an amazing computer and the predecessor to the later commercial version called the Star. The Star would later fail miserably after the release of the Macintosh. But in this commercial, the Alto is depicted as a futuristic office machine that would change the way companies conduct business. Among the first machines of its kind, the Alto featured an easy-to-use graphical interface (GUI) and a mouse. The Alto really could send and receive emails, send documents to a laser printer, and display reasonably high-quality images (which took forever to load, of course). Unlike in the commercial, however, the Alto didn’t actually have the ability to follow voice commands. What it did is lay the foundation for many generations of computers to follow. In fact, Steve Jobs was said to have visited Xerox’s research center and was given a copy of the Alto’s GUI. The Alto clearly influenced the designs of Apple and other computer companies, making it one of the most influential computers in history. See more in Vintage Videos or under Vintage & Retro. October, 2013.